Janaki is a thought-leader in design-led innovation for the enterprise. She built and led the Design and Co-Innovation Center, a design agency within SAP. She is committed to delivering award-winning products and services that help businesses transform the way they work. She is a proven leader in building, coaching and inspiring high-performance design teams, leveraging design-thinking, customer empathy, and co-innovation. She is an active writer and speaker on innovation and design. 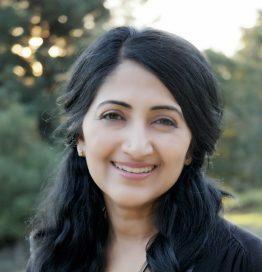 She is the co-author of Gamification at Work – Designing Engaging Business Software, and a co-instructor at Stanford’s Graduate School Business LEAD course on Customer Experience Design: A Neuroscience Perspective. She is the inventor on over 20 patents. She has an MS in Information Systems from Boston University and attended the Executive Leadership Program at Stanford University.